R2Integrated of Baltimore released their own mobile marketing survey last week, which signaled that marketers will play it a little conservatively in the space in the coming year. 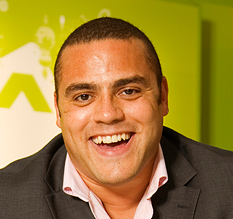 Basically, it seems, marketers still need to teach themselves how to best take advantage of the different tools mobile marketing has to offer. Afterall, it’s a new way to reach people who are usually on the move — which is different than marketing campaigns devised for TV and even the desktop Web. 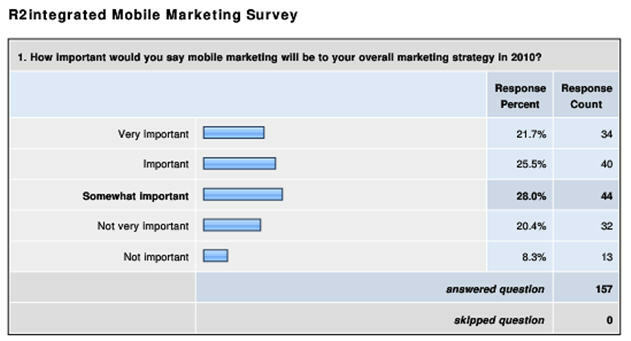 View all result charts of the R2I Mobile Marketing Survey Summary here.